Disclosure: Contains affiliate link. All opinions are mine. Happy Hanukkah!!! Maybe you’re just here because you’re preparing for Hanukkah. Or because a friend of yours celebrates Hanukkah and you want to do something a little special for them. Whatever the case is, we have a free printable for you! 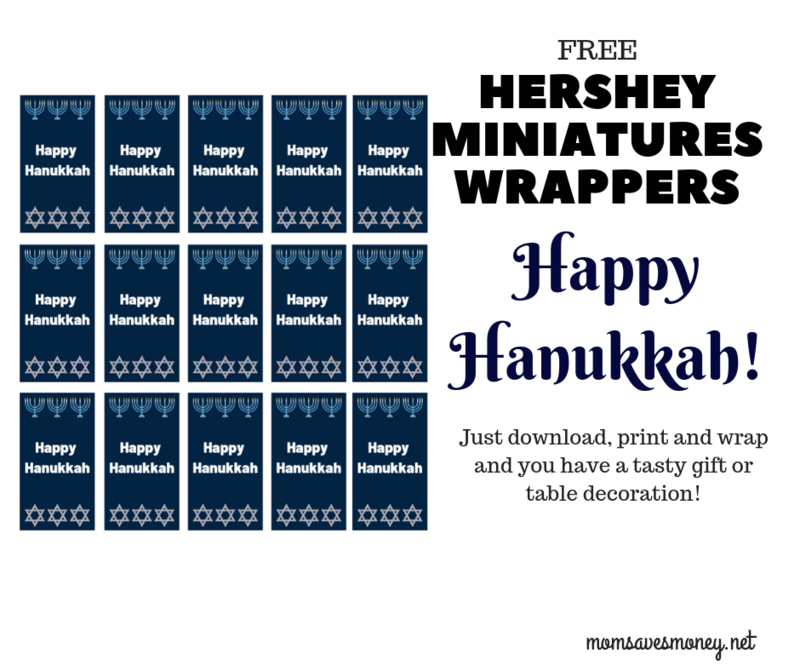 Happy Hanukkah wrappers for Hershey Miniatures! Did I mention FREE? Cause they’re FREE! Did I mention that they go on mini chocolate bars? Cause CHOCOLATE! It’s a beautiful thing. When my first son was born over 6 years ago, I was a first time mom who wanted a creative way to “announce” our son’s name. Everyone knew it was a boy, but we didn’t reveal the name until after he was born. 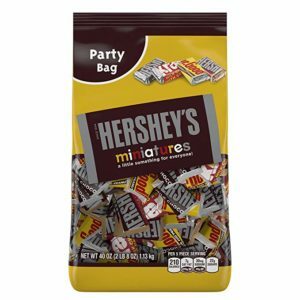 So I made these custom candy wrappers for Hershey Miniatures with his name on them. The problem is that it took me f-o-r-e-v-e-r! I was new to doing Graphics work and it was really painful. But I got ‘er done. And everyone who visited me, loved them. (Even if they didn’t love his name…it wasn’t the most popular choice in my family….but….oh well.) But everyone loved the chocolate. And the baby! I wanted to do one for Christmas this year. This time, it took me WAY less time. Now that I have a lot more experience under my belt AND there are way more friendly graphic design tools out there, it didn’t take me nearly as long. Yay! So I did one for Hanukkah too. While I don’t celebrate Hanukkah, I have a few friends that do. Each sheet contains 15 wrappers and are easy to cut out. 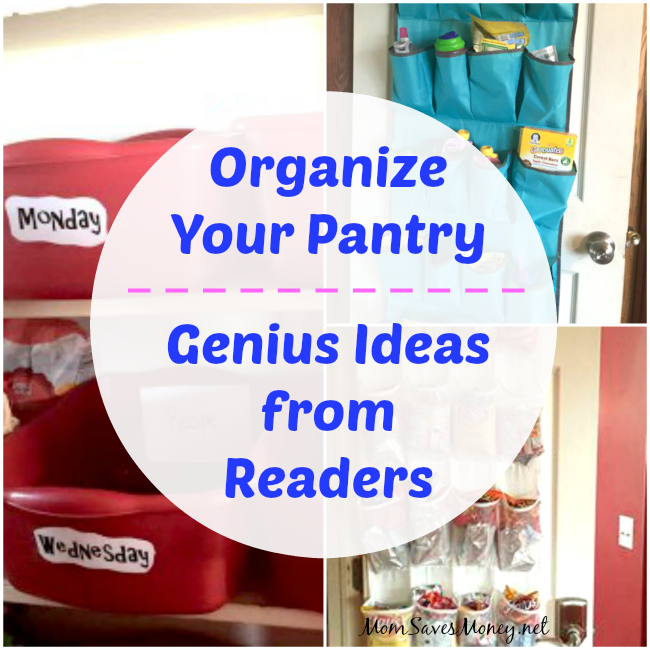 Just use a color printer and regular paper – you’ll need to be able to bend it around the candy bar. Then just a small piece of tape will keep it in place. Easy peasy! They even make great decorations at your table for Hanukkah. And really – who wouldn’t love a decoration that you can eat? Ultimate in practicality! You can even plan ahead and buy them from the previous season when they go on sale/clearance. I’ll often see 4th of July themed ones on clearance at Target in August. 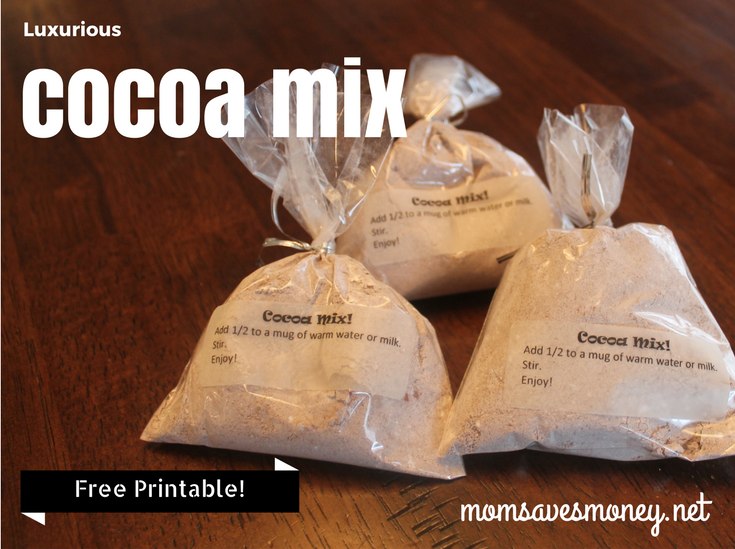 Buy a bunch and freeze them. No one cares what “theme” the original wrapper underneath has. These are also easy to buy on Amazon — then they’re even shipped to your house. TO YOUR HOUSE! It doesn’t get much easier than that! Don’t have a color printer? Don’t worry – you can still use these! 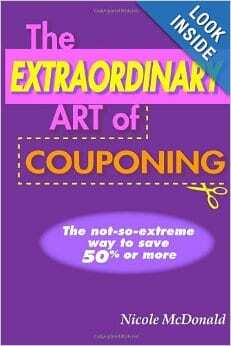 I don’t have a color printer either, so I just uploaded it to my nearest FedEx Kinkos store. That’s just one option; you can also ask a friend or neighbor to print off a few sheets for you…maybe in exchange for a piece of chocolate? Mmmmm…. Either way, Happy Hanukkah!! 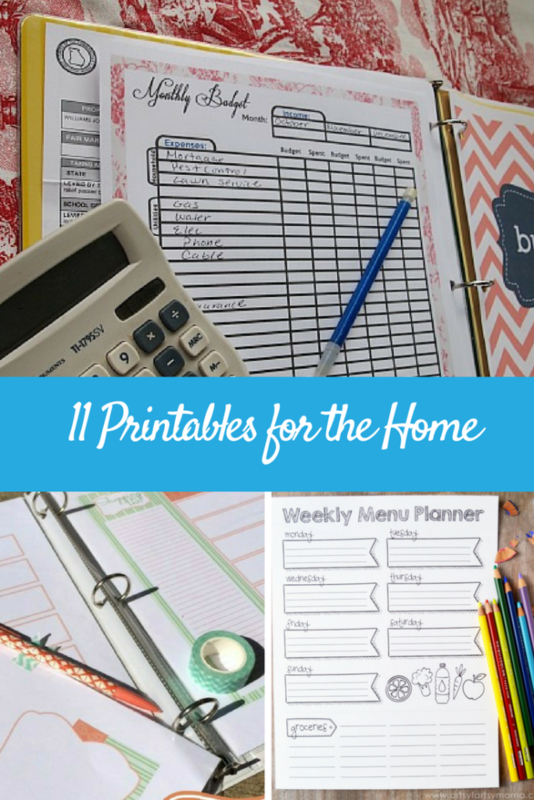 Just click here to open the FREE full page printable!